We are so grateful for the support of long time Friend of the Cheat, John Victor. He has once again created a beautiful design for the festival. 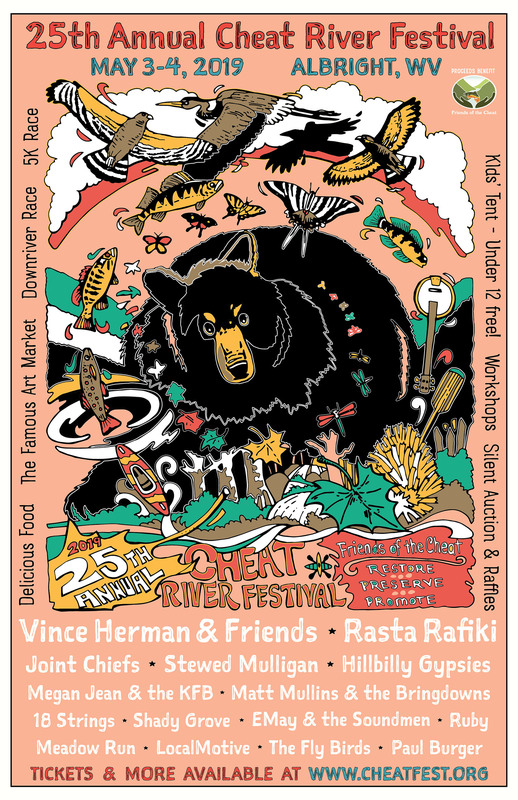 Welcome, for the 25th Annual Cheat River Festival: the Bear!